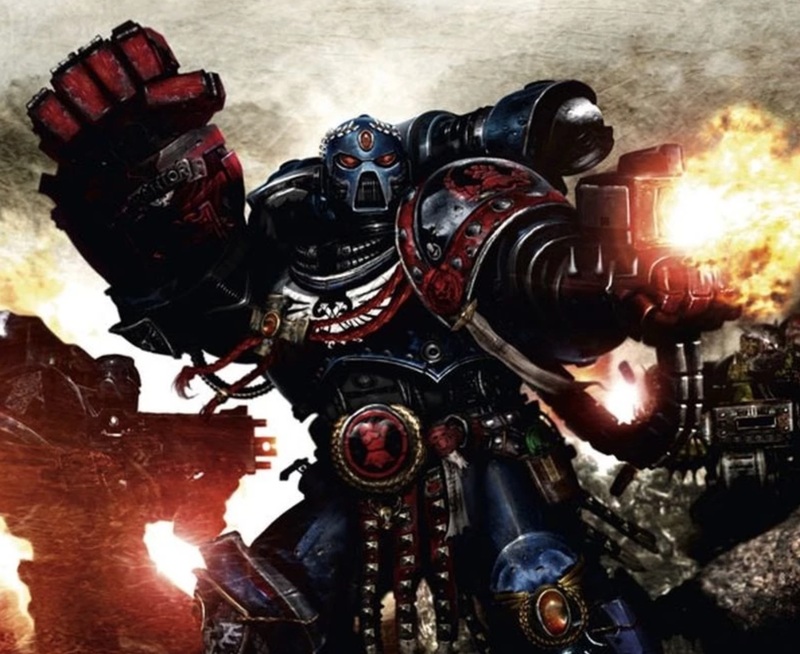 Hey guys for those who don’t know me my name is Michael Scott (yes you read that right) and i have made it my plan to play Deathwatch soup for the first half of the 2019 ITC season. Due to the fact that deathwatch is overlooked as they are just marines I’ve decided to write a series about my progress with the army and how it feels against the other lists in the current meta. So lets start by quickly going over my 1st take on this list. 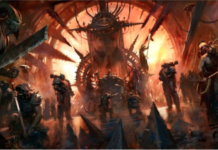 You will notice that I have gone and taken some inspiration from Andrew Gonyo’s LVO list here but put my own personal twist on it. So this is the first iteration of the list that I had designed after LVO and I had some ideas about what it could pull off and how it would function which will be discussed below. 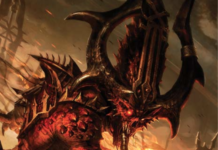 My general thought with this army was that the meta was starting to shift back to hordes being a huge part of what 40K has become so i was looking for a list that could easily dominate horde armies and also deal with really tough and annoying units that people have turned too ( Bullgryn, Grotesques, Talos, big mobs of ork boys/lootas, Mega Nobz) this list could go on but these were some of the bigger threats Ive seen coming around lately and i needed a way to deal with it all. So, were going to go through each detachment and go over what they are used for. 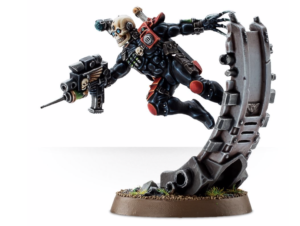 This is the main core of my army and easily some of the most efficient shooting in the game now. 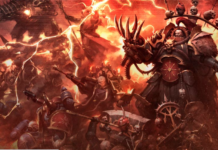 Combining the new bolter rule with the always wounds on 2s special ammo + the watch master provides re rolls to all failed hits AND the mission tactic allows you to re roll failed wounds of 1 against the unit type that you have chosen. 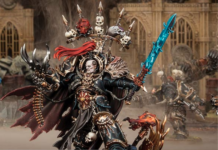 So the Death Watch here have a few different roles that i use them for. 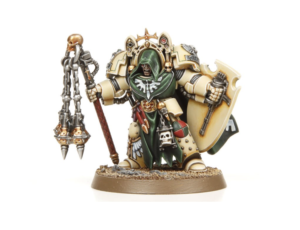 The smash cap is there to help me fight against knights and other types of vehicles and now has even more uses due to the rise of flyers in the 40k meta. The watch master is there just to provide re roll buffs to 1-2 units of DW vets. But the real cake is the troops themselves. 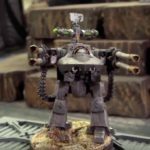 These guys have many rolls but to simplify the are here to shoot the living crap out of units. With each unit putting out potentially putting out 36 special ammo shots that hit on 3s rerolling all fails then wound anything but vehicles on 2s re rolling 1s. 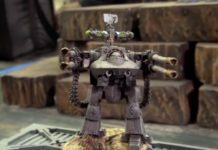 These shots can really add up fast in terms of damage output and since you don’t care about the toughness of the enemy models its great for taking out bigger threats (grotesques, talos, bullgryn etc…) it can get to be really annoying for the opponent. 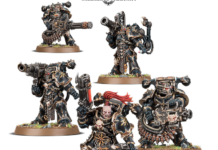 On top of having fantastic shooting abilities these guys also come stock with a whole fleet of special rules due to being a mixed unit. 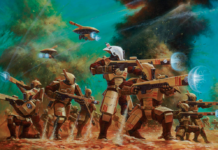 They have the option to split into two 5 man teams due to the combat squad rule, they get to teleport back to your deployment zone when needed due to homing beacons, they can fall back and charge thanks to the biker, they auto pass morale due to the termie, they can be held back to deepstrike, and finally thanks to the vanguard vet they can also fallback and charge! So overall quite the flex unit that can be used for multiple different roles in the army and prove to be a threat in many different ways. 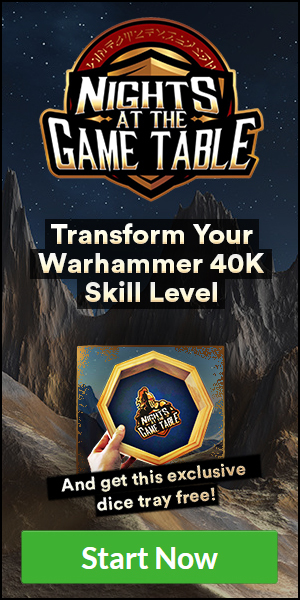 Not a whole ton to say about this other then i have decided to add the tank commander in to give me the option of outflanking them plus having a great way to deal with hordes so that i don’t have to waste my DW squads shooting at screens. Then we have the guardsmen to act as screen and hold objectives + the larger blob of conscripts to act as a meat shield during my first two turns of the game. 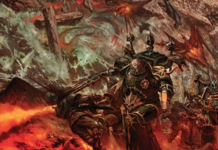 Then we have the aux of dark angels, which i will be completely honest have stolen the idea from Gonyo. Its a unit that certainly has been overlooked but its a great option for a counter assault unit that you can keep in reserves until you need it, or by T3. Then drop in 9″ away and then charge and absolutely destroy what ever it touches. 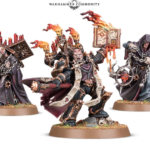 They are all equipped with a mace that has the stat line of a thunder hammer except there’s no penalty to hit and they have storm shields. Finally we have the reserve points of 85 to be able to summon a flex assassin depending on what we need for that specific pairing. For those curious I have now played 4 games with this list (prophets of flesh DE w/ eldar planes twice, darkeldar w/ ravagers and ynari harliquins, and finally pure space wolves) I have gone 3-1 thus far with my 1 loss being to the DE w/e planes. But I’m continuing to grow and evolve this list and will provide more updates as we go along in this journey! Thanks for reading and be sure to check out our other articles that we post Monday -Friday + our weekly podcast ! Beast Coast Goes to BFS Team Tournament!